Doraemon cartoon on UPSC website: The cyber crime happened on the day the recruitment process of this year began on the website. The Union Public Service Commission (UPSC) website was reportedly hacked late on Monday. 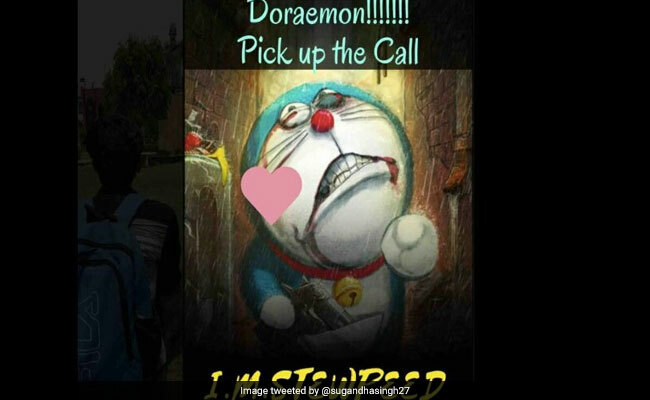 Several images posted on Twitter showed popular cartoon character Doraemon with a gun in his pocket. The site was restored today morning. The generally smiling cat robot from the much loved children's show had a bruised face with the caption "Doraemon!!!!!!! Pick up the Call". The image also had a caption below saying "I.m.Stewpeed". The cartoon show's theme music played in the background with a blinking heart on the image. It is not yet known who was behind the cyber crime. Incidentally, this happened on the day the recruitment process of this year began on the website. Many Twitter users posted screenshots asking the UPSC website to be fixed. UPSC did not comment on the issue. This is not the first time a government website has been hacked. The Supreme Court website was reportedly taken down by hackers for several hours in April, minutes after Judge Loya ruling. Earlier this year, websites of home, defence, law and labour ministries went down in a suspected cyber-attack.